Whether you like it or not, it’s nearly that time of the year again. Although this Christmas will be a difficult one in certain aspects, my mam and I had always been the children, getting excited, the weeks before, she having to have a ‘real’ Christmas tree, me decorating it and then us both being up drinking tea itching to open Christmas presents on Christmas day at 5 am. But I’m sure we’ll say our prayers and wish she was with us, but I believe she’d want us to enjoy it, so I intend to. Next year even more so, starting new traditions and old with our Baby, for his very first Christmas. I’m excited this year as I have a proper home to decorate. 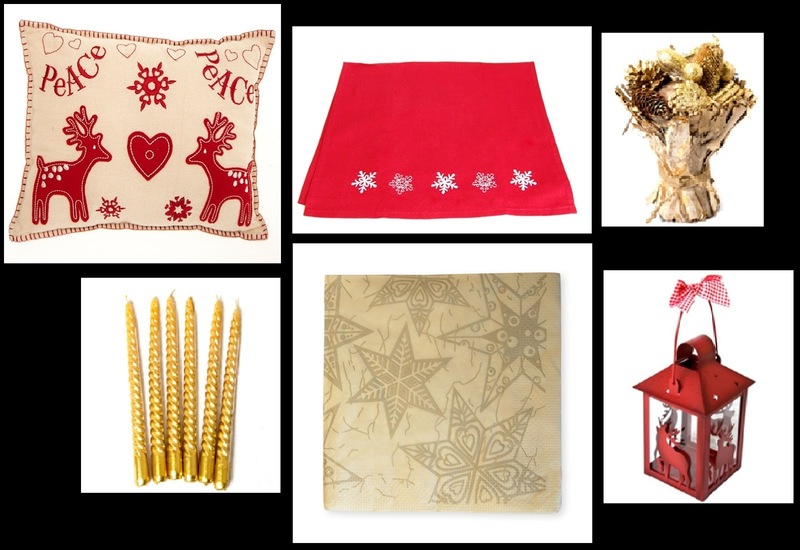 So let the home styling for Christmas begin! Being a lover of gold and red and over the years have bought tablecloths, placemats and wreaths, I am very much looking forward to having everything out of storage. But so too am always looking at new purchases! I have seen some lovely home furnishings in Dunelm and plan to visit over the next month to add things to my home styling for Christmas collection. Plus I’ve been trawling Ebay and Ikea, so will no doubt have a great ‘haul’ to show you. Our cottage is quite small and I’m not one for clutter, but changeable items, such as tea towels, throws and cushions, will be on my list for definite. On a recent dog walk into the nearby woods I collected some pinecones, which, in true ‘like my mother’ style, I intend to spray paint gold, red and silver and house decoratively in a gold bowl. How are you styling your home for Christmas? Oh, this is just the cutest! I'm so excited for christmas counting down the days now!